This one took a little digging, but I managed to get quite a bit of information. I’m glad I did. 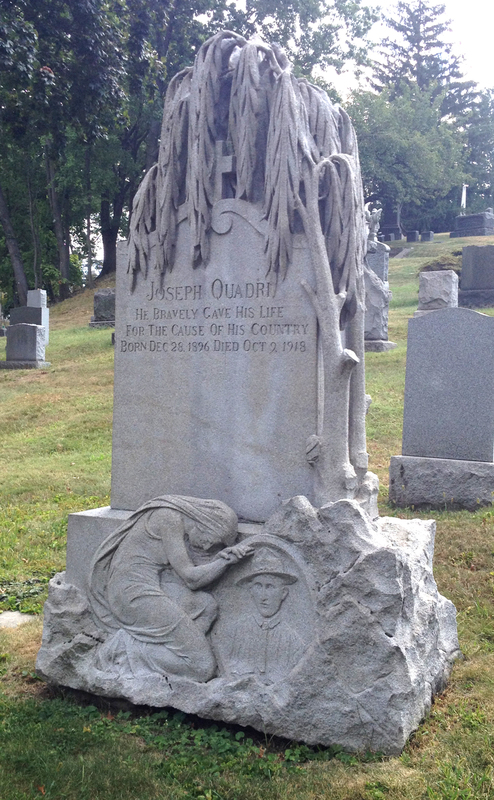 I’ve been looking at the headstone for Joseph Quadri (1896-1918) ever since I moved to this neighborhood. It is right up the hill from my building. I see it every time I walk out the front door. It is a profoundly sad monument. A weeping willow tree is draped over the top of the stone, and a mourning female figure is bent over the portrait of a young man in a World War I “Doughboy” uniform. Joseph Quadri, Brooklyn native and first generation Italian-American, died October 9, 1918, during the Second Battle of the Somme. He was 22. I am no World War I expert, but I have been doing some reading about it lately. The main thing I’ve learned was that World War I was pretty much hell on earth for everyone involved. And The Battle of the Somme was one of the most horrible, never-ending battles of the past several centuries. 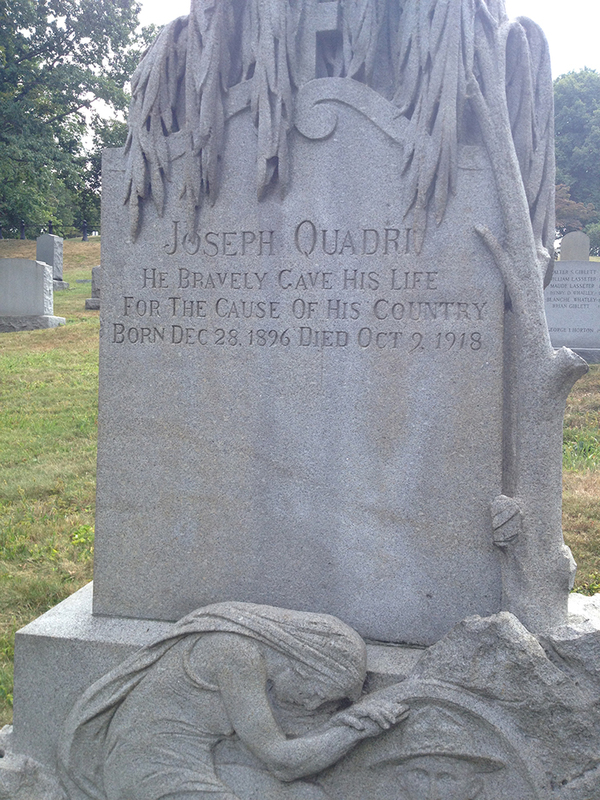 By the time Joseph Quadri was sent to Germany to fight in the second Battle of the Somme, French and British troops had managed to halt the aggressive German offensive, pushing them back into German territory. Quadri’s division—the 27th—was absorbed into the 106th Infantry Regiment, which was sent to help reinforce dwindling British troops. 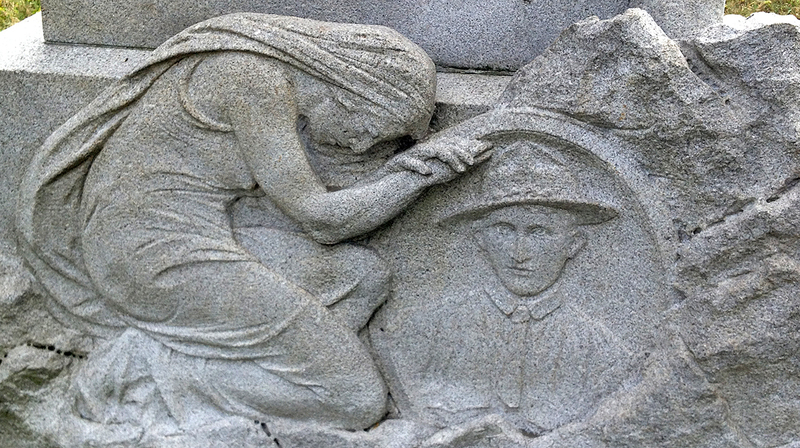 Everyone involved in this battle–on both sides– suffered enormous casualties. 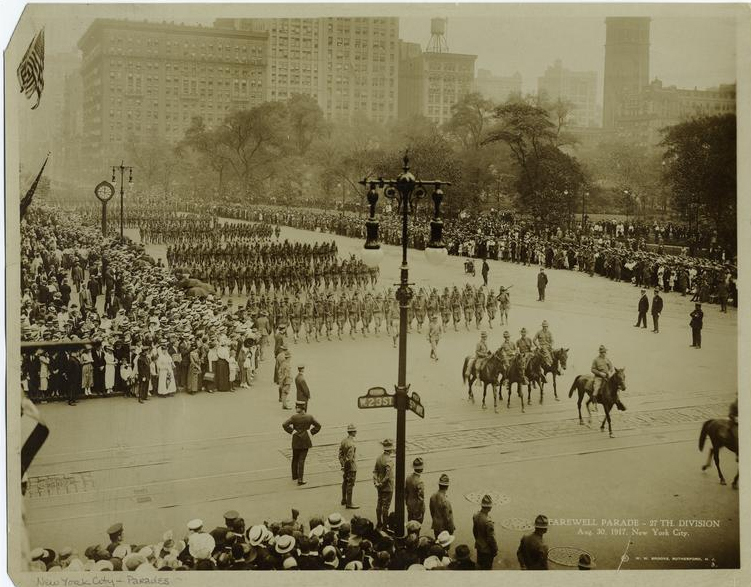 At the commencement of active fighting, the 106th had a total effective strength of 3,003 officers and men… During its service in World War I, the 106th sustained 1,955 casualties including 1,496 wounded, 376 killed, and 83 who later died of their wounds. 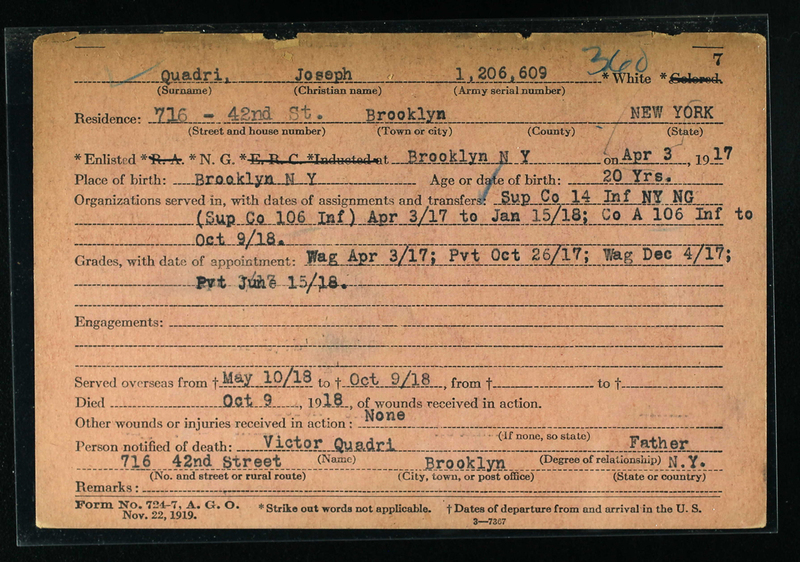 Joseph was born in 1896 to Victor and Antonia Quadri, both Italian immigrants. Victor was a stonecutter, which may account for why Joseph has such a beautiful memorial. Antonia is listed on census records as doing “housework”. Victor and Antonia had 4 children: Elizabeth, Joseph, Andrew, and Victor, Jr., all of whom were just a few years apart in age. 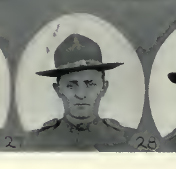 The 1915 census lists 18 year-old Joseph’s occupation as “machinist’s apprentice”. They lived here in Brooklyn, at 716 42nd street right by Sunset Park. 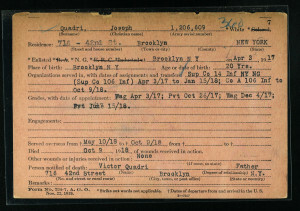 Joseph enlisted on April 3rd 1917. He died October 9th, 1918. On October 21st 1918, his entire division was relieved. If only he could have hung in there another couple of weeks.